Over the years my family has participated in many FREE Omni i-Max Screenings at the Fort Worth Museum of Science and History. This is a program designed to seek interest in possible future Omni i-Max films. All that is asked in return is for you to fill out a very simple survey after the film. 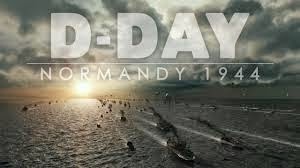 On Thursday, April 30th you have an opportunity to attend a FREE Screening of D-Day: Normandy 1944. Click HERE for more information on this film. ~ Indicate if you are interested in the 6:30pm or 7:45pm screening. ~ Tickets requested are limited to (2) per household. Guests must be at least 10 years old. ~ Are you a member of the museum? You will receive a reply e-mail with additional instructions. Next postDigital Media Academy ~ Great Summer Camp Option!